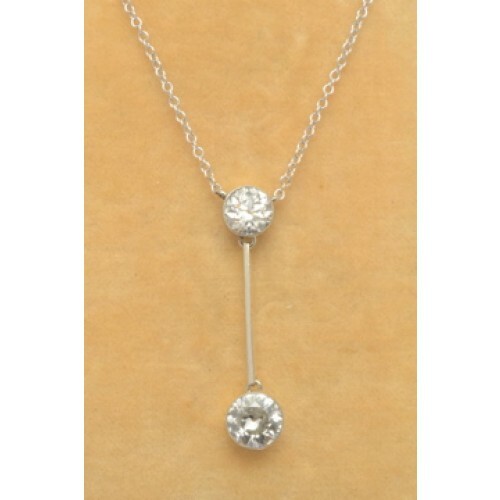 Antique Diamond double drop pendant. 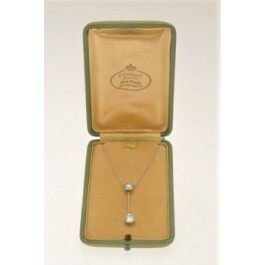 Antique 18ct gold set double drop Diamond pendant, yellow gold back with white gold front. 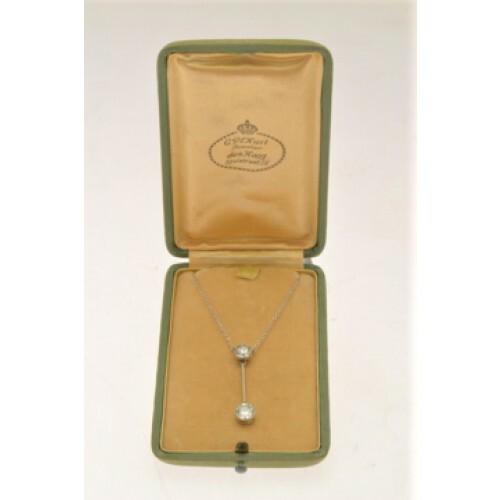 There are two old cut diamonds one weighing 80 points and the suspended Diamond weighing 1 carat, H Colour, P1 Clarity, in a rub-over milligrain setting and a fine gold bar as suspension. Dated circa 1925.